Observing forgetfulness in your aging relative can be concerning. You may wonder if what they are experiencing is normal age-related memory loss or if there’s something worse going on. A little bit of memory loss, those “senior moments,” are completely normal. Lots of older adults do things like forget where they left their keys or forget where they parked the car. Occasionally making a bad decision. Forgetting to pay a bill. Temporarily forgetting what day it is. Misplacing items once in a while. Carrying a pocket calendar to write down appointments. Using apps that track where the car is parked. Difficulty taking care of finances. Not knowing what year or time of the year it is. Difficulty carrying on a conversation. Misplacing items and not being able to find them. Forgetting about an experience they’ve had. No longer remembering how to read a clock. 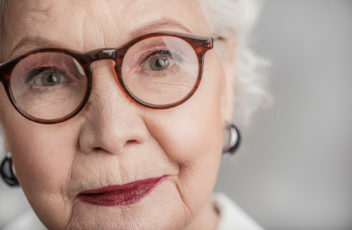 Experts at the Mayo Clinic say that the time to see the doctor about your aging relative’s memory loss is when they worry you. The doctor can conduct tests to determine how bad the memory loss is and try to determine the cause. If your family member is diagnosed with dementia, involving home care early on can make living with the condition easier. During the early stages, the older adult may need home care for only a few hours each week to help with things like paying bills and doing complex household tasks. As the disease progresses, you can increase the amount of time home care spends with the senior, ensuring they are safe and comfortable when you cannot be there.